Hey, everyone! I’m quite happy about this blog entry because I’ve been asked to have a look a helmet and try to help it get a little bit more of the attention it deserves. And its a Shoei helmet so there’s plenty for me to talk about. 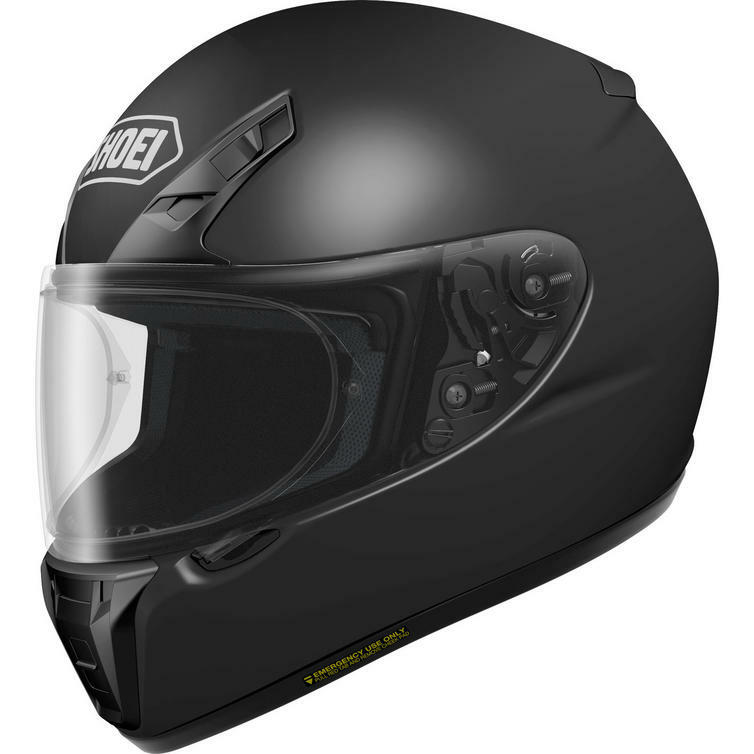 I’m looking at the Shoei RYD and its got a whole list of features dedicated to making this helmet comfortable to wear and safe to put your trust in. As with all of the helmets I look at, lets start from the outside and work our way in, so first up is the Shoei RYD’s AIM shell. 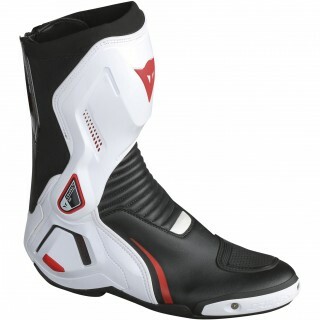 AIM stands for Advanced Integrated Matrix and its Shoei’s specially designed shell construction with a secret recipe that they keep to themselves. 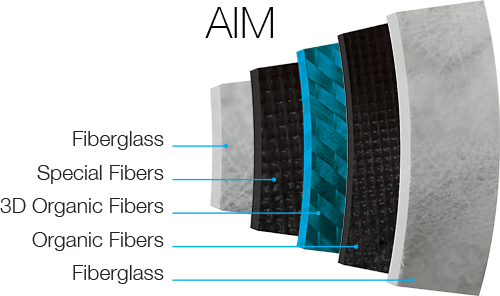 Instead of making the shell out of one uniform material like thermoplastics, the shell is made of layer upon layer of reinforced fibres. 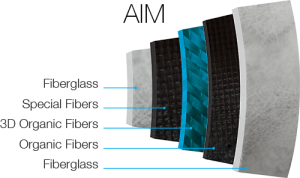 Fiberglass, special fibers, 3D Organic fibers, Organic fibers and more Fiberglass all made rigid with a corrosion resistant synthetic heat-set resin. The edge that an AIM shell has over other shell materials like thermoplastics is that the flexibility of the compounded materials actually works to make the shell incredibly impact resistant. The numerous layers and fibres work together to disperse the force of an impact over a larger area of the shell and reduce the amount of force travelling through the helmet into the rider’s head. 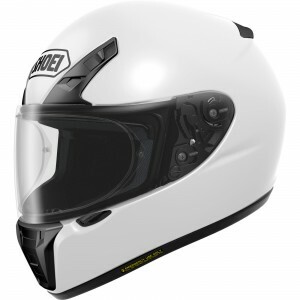 In addition the shell is actually very light which helps to prevent the rider from any neck strain and the shell is also penetration resistant. Its very advanced and very clever stuff with a recipe Shoei guards like the secret ingredient to a special sauce but suffice to say, if it’s fiber based and makes this shell more effective- it’s in there. Beneath the AIM shell is a multi-density EPS Liner system. The multiple densities of the foam are designed to slow the head down in and impact and provide more protection to the more vulnerable areas of the head. 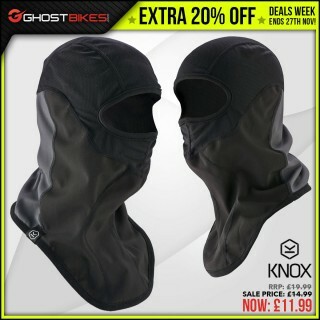 This is to keep your head from smashing into the inside of your helmet by slowing the head down and reducing the amount of potential head and brain trauma. Its the same concept as the fluid surrounding the brain inside your skull and it works in a similar way. As such, after an impact the helmet may appear to have deformities and damage but the head will be fine. But also, even after a small accident, the helmet may appear to be fine but the foam inside the helmet may be deformed. So whether you have a big accident or a little one- it’s a good idea to change your helmet. Remember- to ensure the best and most protection out of your helmet, get one that fits properly and snugly. The shell has other features other than just being really safe. Its also been aerodynamically designed inside wind tunnels to ensure that the helmet both sits on the head properly at higher speeds but cuts through the air to reduce neck and shoulder strain on the rider. The shell and EPS liner have vents and channels in them to optimise airflow through the helmet to keep the rider cool. Three inlets on the brow and chin allow air in through the front and two exhaust vents on the back let the warm air be pushed out. The comfort liner inside the helmet is completely removable so that it is easy to keep fresh and clean but it also features a Emergency Quick Release System. There are small tabs, big enough to fit a finger in, under the cheek padding. This is so that if the worst does happen and you get into an accident, Paramedics can easily pull out the cheek padding and free your head from the helmet without moving your neck too much and prevent further injury. The chin strap of the RYD has removable padding and a double D-ring fastening system for the best comfort and the most secure method of fastening with easy adjustability. The Visor is a mist retardant pinlock visor, so you’ll have to be huffing and puffing pretty hard to get it to fog up completely. 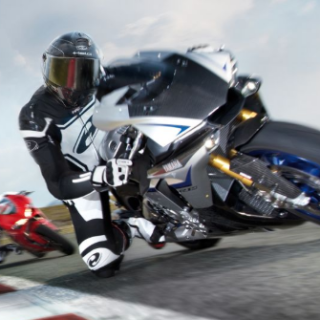 The aerodynamic shell, the visor, the comfort- is all adds up to what we call active protection- It’s actually helping you to keep from getting in an accident. A bold claim, you say but it’s true. By helping you see more around you and more clearly. To be comfortable and distraction free. 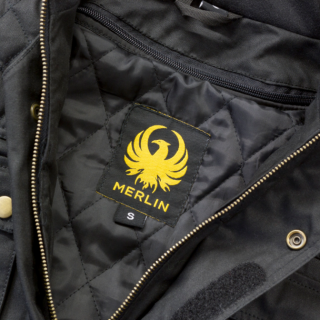 To be light and relaxed, letting you ride for longer without strain. These are all elements of the helmet that allow you to see the danger before it becomes a danger. To keep you from distractions so you don’t miss a thing. And keep you from neck strain, allowing you to be in the best control over your machine even on long rides. Overall the Shoei RYD is a well-thought-out helmet for the most hardy of road riders, designed for comfort and helping to keep you from getting in an accident as well as protecting your head in one. Shoei are so proud of it that they offer a 5 year warranty from the purchase date and a 7 year warranty from the helmet’s manufacture date. 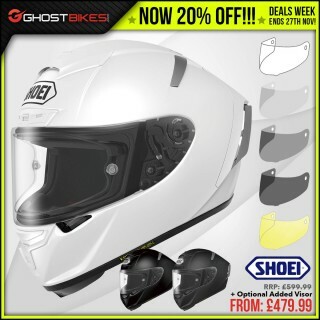 That’s how confident they are in the quality of their own product, so any rider would be comfortable to trust this helmet to do it’s job when the time comes it’s just one the many great Shoei Helmets that we sell here at Ghostbikes.com. 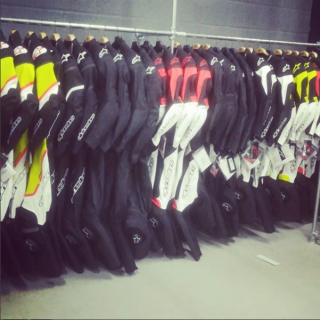 So have a look around and you might see something you like a bit more. £349.99 for one of the best, most well designed road helmets out there, constructed with advanced materials, designed for excellence and made by one of the most famous brands in the world. Its well worth it but if £349.99 is a bit much- don’t worry about it. 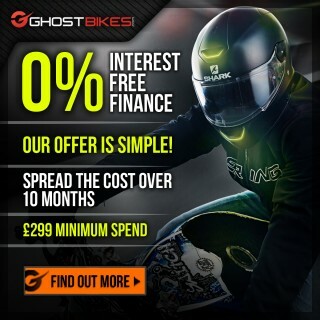 We also have a 0% finance option that lets you pay back the cost of the helmet over ten months, so you don’t need to feel the burn in your wallet all at once. Also, we have a pricematch deal! 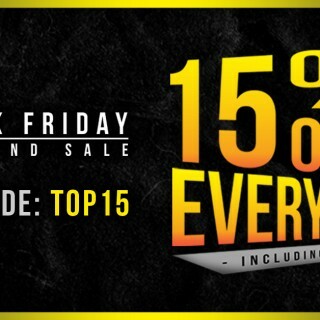 If you can find the same product somewhere else for less, then let us know; if its applicable then we’ll match it and even do our best to beat it!